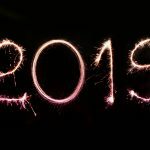 Cannabidiol, or CBD for short, has been making waves in the last year. Discovered in 1940, this compound is one of over 100 found in cannabis and makes up around 40% of the plant’s extract. CBD is free from THC, the psychoactive part of cannabis, and so it won’t get you high. That means it’s legal to buy and use in most countries, including the UK and US. While it’s still very early, preliminary studies have found that CBD may help to ease anxiety and chronic pain. The NHS has tentatively begun rolling out medical cannabis and cannabidiol prescriptions, although it’s reportedly near impossible to get even on prescription. 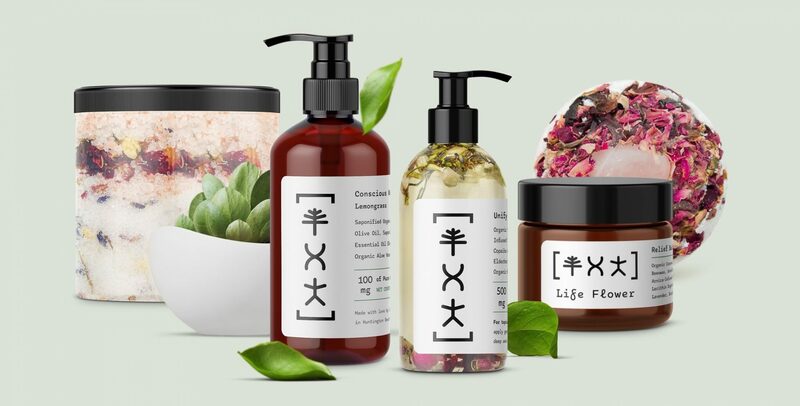 Skincare and wellness brands have seized on CBD with fervour, and some have become instant hits. Today we’ll discuss ten of the most exciting specialist brands in the arena. As with any other trend, you should always take product claims with a grain of salt and consult a professional before starting a new regime. 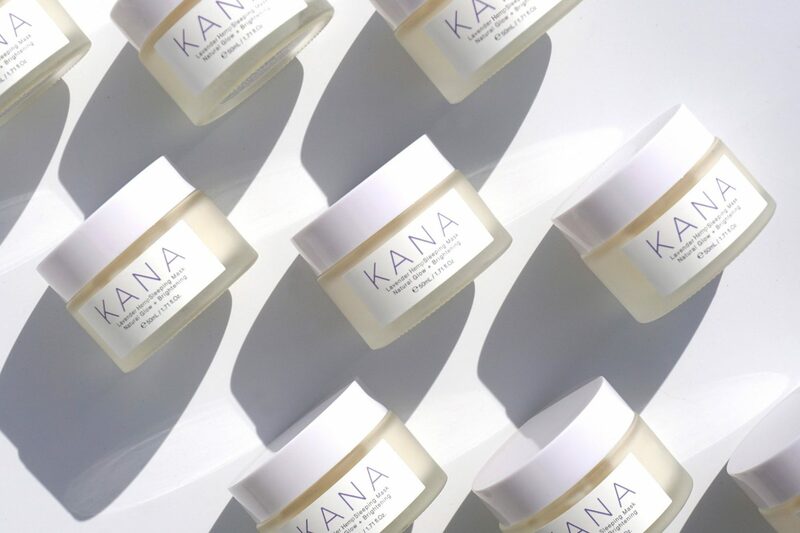 Kana‘s luxury Korean skincare harnesses the anti-inflammatory properties of CBD to make gentle, nourishing essences, oils and sleeping masks. Founder Janice Buu spent over a year perfecting the lavender sleeping mask, which quickly became a hit—it’s packed with 28 active botanicals to hydrate and brighten skin overnight. Before launching Kana, Buu fought sexism in canna-space through DankGals. The company regularly hosts cannabis yoga, infused brunch and seminars; its online store is full of girly pipes and paraphernalia. 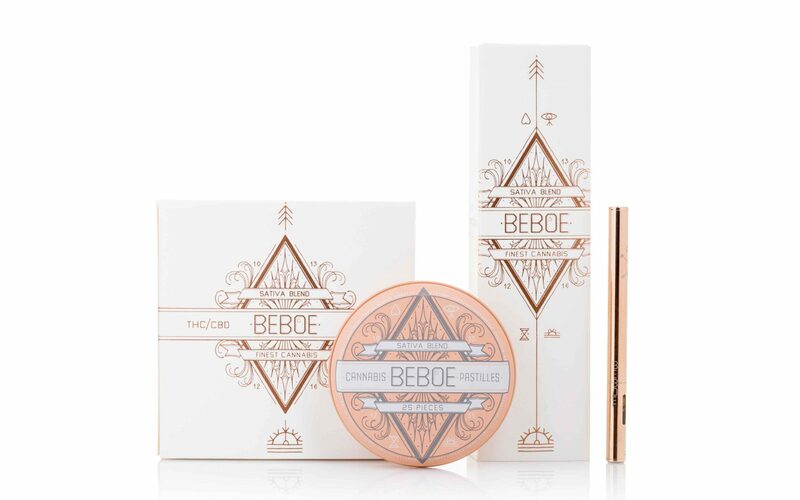 Beboe‘s vapes and edibles would look right at home in a patisserie—the soft pastels and rose golds are worlds away from your local head shop. At present, you’ll need to be based in California or Colorado to purchase, but we’d be unsurprised if the CBD products made their way to Selfridge’s. Fans of Herbivore, The Ordinary and House of Intuition will love the modern aesthetic of Life Flower‘s skincare and toiletries. The standout product is by far the company’s best-selling bath bombs: they pack colourful, locally-grown herbs and petals around a quartz stone core. Unfortunately, you’ll need to be in the US to place an order. Lord Jones was founded in 2016 and has quickly become a favourite: you’ll find glowing endorsements in Vogue, Into the Gloss and the New Yorker and celebrity fans include Karlie Kloss, Kristin Bell and Olivia Wilde. If that’s not enough to sell you, the company recently partnered with Icelandic post-rockers Sigur Rós to create small-batch sweets made with foraged berries and full-spectrum CBD. 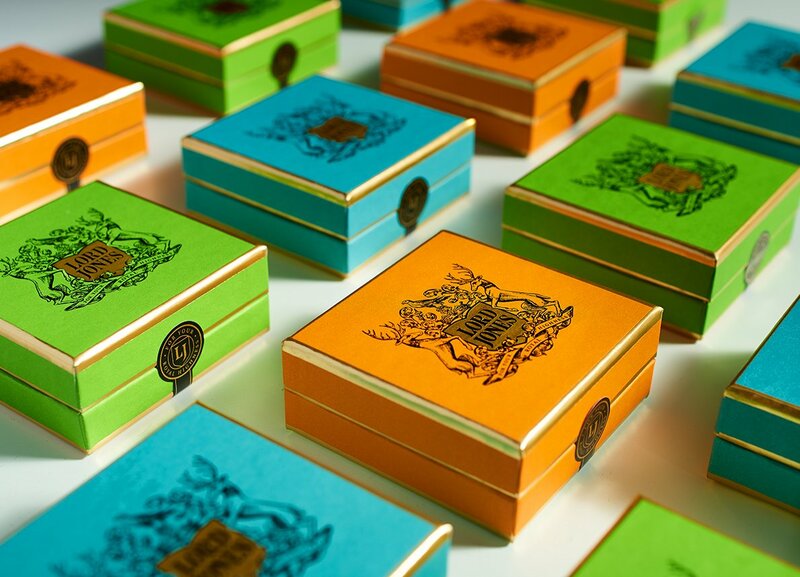 The ultra-chic, Hermès-esque packaging doesn’t hurt, either. 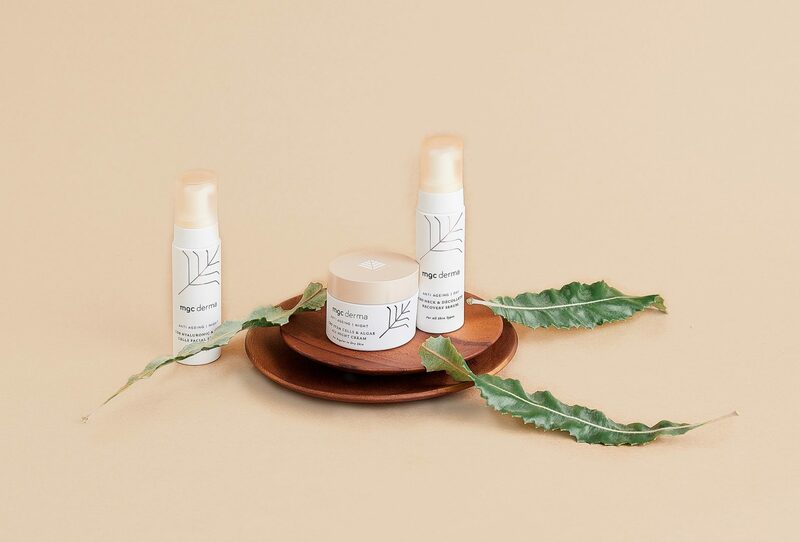 Deemed “The most Insta-worthy CBD brand to hit the beauty scene” by ELLE, beauty trailblazer MGC Derma makes quality skincare you’ll want to show off. Choose from anti-ageing, essentials or derma-plus lines or mix and match to suit your routine. British stockists include Harvey Nichols and Cult Beauty, but MGC also ships worldwide. 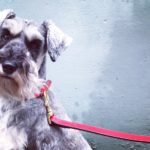 Swiss company Cibdol has really embraced CBD, to the extent that it’s launched a line specifically designed for cats and dogs. While we don’t recommend purchasing without a vet’s approval, the company claims that its pastilles and oils can help pets with lethargy and depression. Stateside, a litany of startups has cropped up to sell CBD-infused pet treats, so it’s definitely a trend to be aware of. 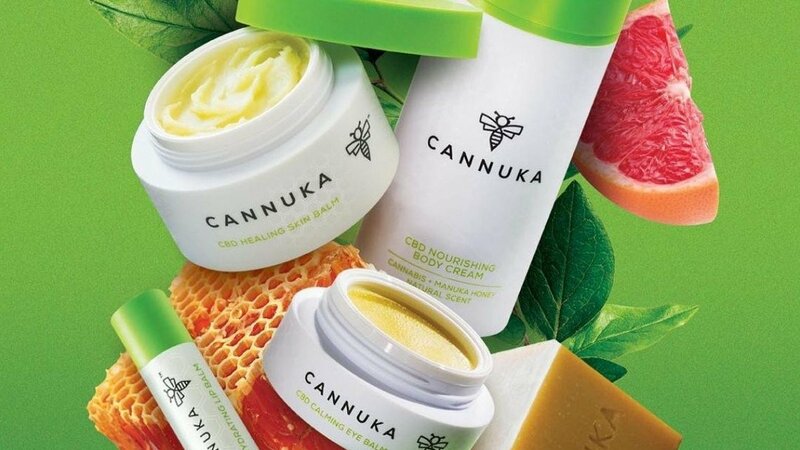 Cannuka mixes CBD with Manuka honey to make skin balms, creams and soaps that are richly moisturising and help to calm inflammation; fans swear that they’re the very best. Americans can order online or shop the range at Neiman Marcus, Free People and Ulta. 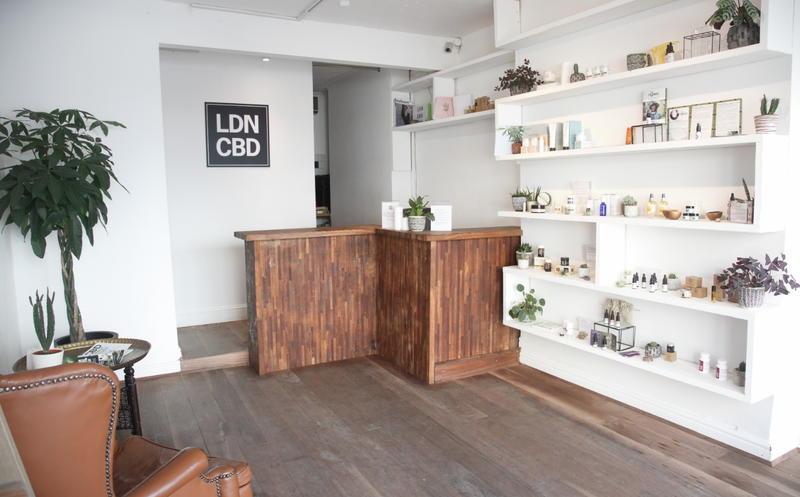 LDN CBD is the UK’s very first CBD shop, nestled in the heart of Camden, London (where else?). Designed to create “a new, positive culture” around cannabis, the shop is bright and inviting. Drop by to shop CBD oil, skincare and edibles, or enjoy alternative therapies. Massages, meditation, yoga, herbal workshops, energy healing, reflexology and life coaching are all on the menu. Barcelona’s Kuza Chocolate is crafted “from bud and bean to bar”. Kuza’s chocolatiers mix single origin cocoa with specialist strains and fresh ingredients to make high-quality edibles. Some bars include cannabis, while others are made with pure CBD. Pick up a bar at LDN CBD, above, or in stockists in Dublin and Barcelona. 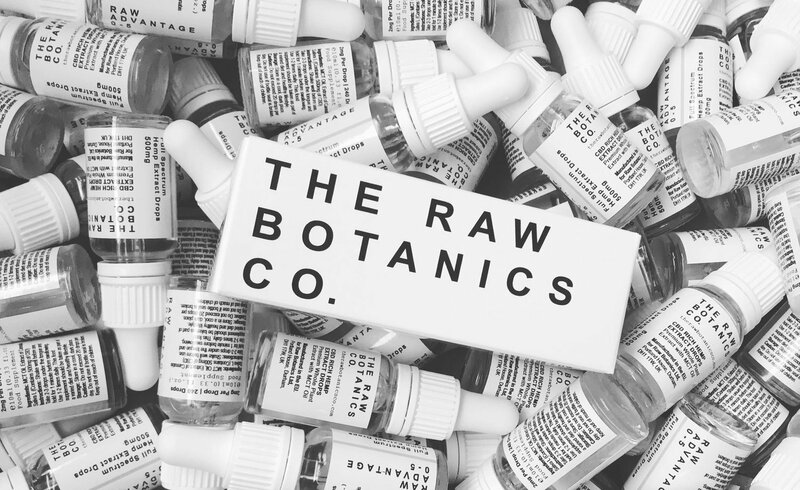 Brits, this one is for you: The Raw Botanics Co is domestic and available on Amazon UK. Its initial offering includes three strengths of CBD oil in sleek dropper bottle packaging. Best of all, a percentage of net profits goes to British charities. At the time of writing, these include Young Women’s Outreach Project, Young Minds or St Cuthbert’s Hospice.